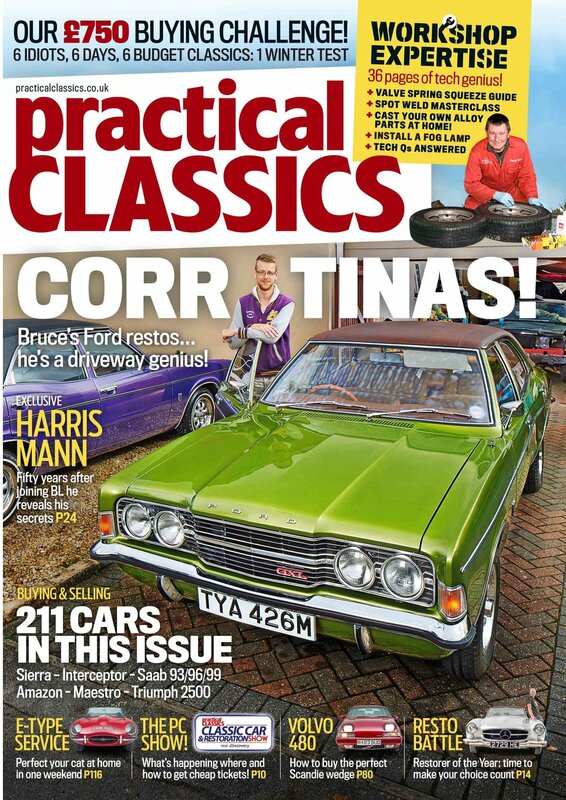 In the latest issue of Practical Classics Magazine, there’s an incredible Cortina Mk3 restoration, by a man who wanted absolute perfection, and we give you a fascinating guide to servicing a Jaguar E-type. Elsewhere, we enter the world of Harris Mann, who worked at British Leyland in its heyday and he gives us an exclusive insight into what really happened. Plus, we prepare for our annual Winter Warmers road trip, when the team buys a bunch of classic cars for under £750 each and take on somewhere appropriately wintry. What will they buy? And where will they go…? Bruce McDermott has not just one but two Ford Cortinas ready for the nano-scrutiny of a magnifying-glass-wielding concourse judge. And there’s a rare 2000E in the car port that’s going to be even better, and another GXL that’ll likely be better than that. Not that Bruce has ever offered up his cars for such invasive probing. “I’m not into all that stuff,” he says. “I never start work straight away,” advises Bruce. “The whole restoration took me three years, but I just left it alone for the first twelve months, during which time I sourced parts.” In the latest issue, we present the Bruce McDermott method of restoring cars to concours standard. You won't want to miss it! Our annual winter challenge has become a tradition - a fixture in the annual Practical Classics calendar. The premise is simple. Get a classic (that is over 25 years old) on the road for £750 or less and then join with others to partake in a week’s worth of pointless challenges. This year the team have once again bought a variety of tin, and they have all, in their own way, failed even before they have left the workshop. So sit back and enjoy the smell of hopeless defeat as we, once again, attempt to launch ourselves into the winter traffic – snow chains at the ready. The E-Type’s price-tag may put it in the ‘exotica’ category, but in engineering terms it’s pretty straightforward. Routine maintenance is well within the capability of a DIY enthusiast. 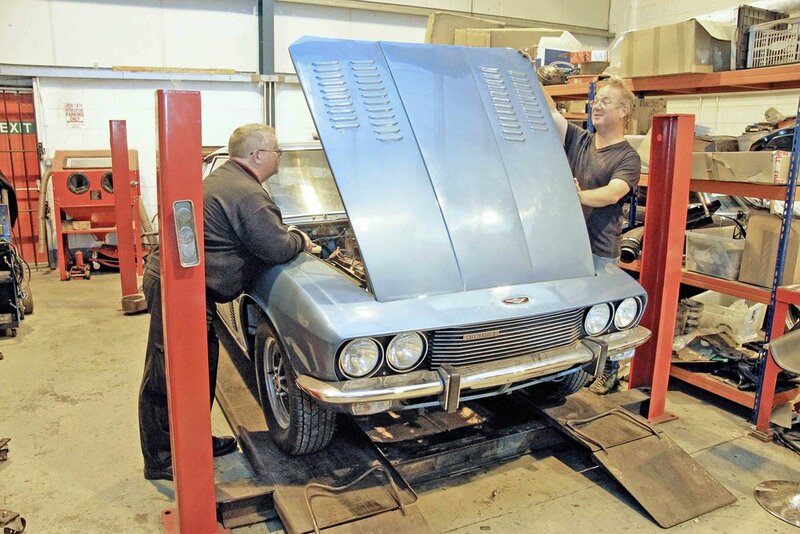 Engine access is exceptionally good for a 1960s sports car, the huge bonnet tipping forward to give access to both sides of the engine, plus the front hubs and suspension. Do watch your head on the bonnet’s lower corners, though. The inboard rear disc brakes are a fiddle, but other serviceable items are reasonably accessible and easy to work on. An exclusive interview with one of Britain's best loved car designers, who reveals the secret of working for British Leyland. Updates on all the cars bought, owned and restored by our team of writers.